Aerosmith guitarist Joe Perry collapsed on Saturday night after joining Billy Joel for a performance of “Walk This Way” at Madison Square Garden. 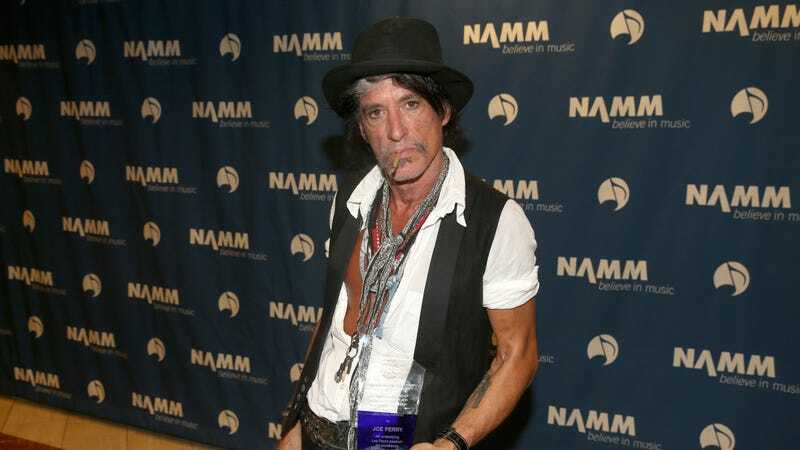 The 68-year old rocker was apparently suffering from breathing problems, and paramedics reportedly inserted a tracheal tube down his throat before rushing him to a hospital. CBS reports that Perry’s publicists said in a statement on Sunday that Perry was alert, responsive, and expected to return to the stage later this month. He’s slated to kick off a 10-date solo tour on November 30. Next year, Aerosmith will headline its own Las Vegas residency. In 2016, Perry suffered a similar health scare, collapsing backstage at a Hollywood Vampires show in Coney Island. Keith Richards, meanwhile, is doing great.